In fact, the influence extends as far back as the Industrial Revolution. 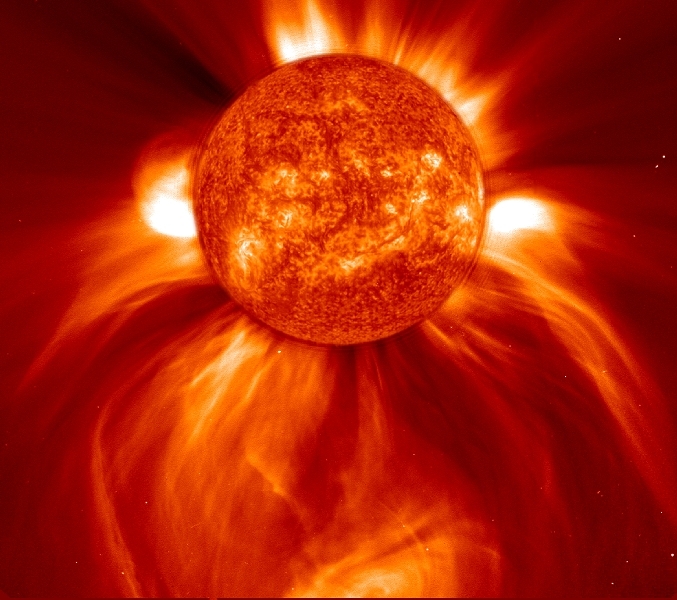 Goddard’s research shows that the solar cycle’s ups and downs directly affect the temperatures and long term climate. During solar minimum they discovered about 1.36 watts per square meter of solar energy hits Earth’s mesosphere; solar maximum escalates to 1.40 watts per square meter. It’s well-known that the sun passes through cycles of 11-year and 22-year intensities. Currently, the sun is on the upswing towards solar maximum when sunspot activity and solar flares will peak. The height of the maximum is expected during 2012-2013. After the current peak, NASA and other space agencies believe the sun will go unusually quiet for the next 30 years or more. Another proverbial nail in the coffin for the AGW theory is the fact that the Earth has been cooling since 2007. Despite the fact that certain NASA scientists keep clinging to AGW (those with the largest government grants tied into the theory), the model has been showed to be flawed and some heavyweights are weighing in against it including one of the world’s great paleoclimatologists. During a lengthy interview with Gelf Magazine, Kukla explained: “What is happening is very similar to the time 115,000 years ago, when the last glaciation started. It is difficult to comprehend, but it is really so: The last glacial was accompanied by the increase of a really averaged global mean surface temperature, alias global warming. Far from warming, Kukla is warning everyone that will listen that the world is about to enter a new Ice Age. U.S. Will Build Five New Nuclear Reactors by 2020, New Energy Finance Says Can You Anticipate Gold To Hit $1,500 & Silver $50 Quite Soon, Probably As Early As Summertime?